Who needs burglar alarm systems in Stanlow? At HG Vess, we think every home and business should be equipped with a system that addresses the level of risk. One of our many services is performing risk assessments for clients. Businesses and large estates will need an extensive system designed for a higher level of risk than a small home in a quiet neighbourhood. Door and window alarms will alert if an intruder tries to enter your home. It depends on your home and your risk assessment to know if you need alarms on all windows or if motion sensors outside the house are necessary. Burglar alarms for family homes need to be user friendly so all family members are comfortable using it. For commercial use, the alarm is usually set only when the building is empty such as nights and weekends. Video surveillance cameras do not sound an alarm but they serve well to deter a burglar and so does signage warning the premises are protected with an alarm and video system. In Stanlow, burglar alarm systems are meant only to scare intruders away. Most scare easily enough because they like to keep their activities quiet and easy. So often homeowners are uncomfortable with the thought of an intruder alarm system. Many of us grew up away from large cities with no need to lock our doors and a dog to announce visitors; the only burglar alarm was at the bank. Those days are gone and we’re all vulnerable regardless of where we live. 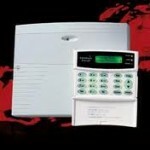 We are professional designers and installers of burglar alarm systems in Stanlow. Our company was established over twenty years ago and during that time we’ve built a loyal customer base by tailoring our systems to the customer’s needs and giving the customer complete control over their security. But we don’t stop there. We follow up with maintenance and repair to make sure your burglar alarm system is always functional. Contact HG Vess, and we’ll be glad to consult with you and provide a free survey and quote. You will see how multiple codes for family and friends will insure their freedom of movement. This entry was posted in Burglar Alarm and tagged Burglar Alarm Systems in Stanlow, Stanlow Burglar Alarm Systems. Bookmark the permalink.